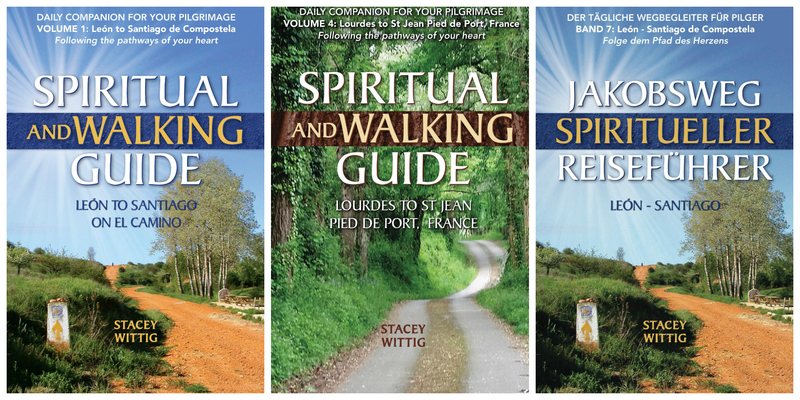 Spiritual & Walking Guide reviewed on popular Camino blog "The Camino Provides." Thanks for the kind words, Laurie Ferris! Thanks for adding my book to the Camino books on your Camino Book list. Travel writer Stacey Wittig thought of everything with this guidebook for the last major section of the Camino Francés. It not only includes daily prayers to reflect on, but also details about where to sleep and daily walking distances. Even though I’ll be walking different routes before my Camino Francés in 2018, I enjoyed reading this book cover to cover for the practical tips on lodging and pilgrim etiquette. For example, when she talks about waking up early to be alone and meditate, she advises to respect the sleeping pilgrims and abide by the earliest arise time set by the individual refugios. She also shares tales of interesting people she met along the way.